On the 27th of November 2017, EVS Volunteer Carmen Cara Lorente, Trainees Cormac Flahive, Kamila Kocowska, and Chiara Antonucci, and workers from the European Foundation of Human Rights (EFHR) took a trip to Vilnius Cathedral Bell Tower. Participants in this trip fully enjoyed their experience visiting this historic monument, containing the oldest clock in Vilnius. They had the opportunity to view historical pictures of the Bell Tower and the Cathedral and observe the changes in its design throughout the centuries. Then, after climbing nearly 50 meters of stairs, they were able to enjoy panoramic views of the city from cameras located on the sides of the Tower. They were able to experience the bells ringing up close, and had fantastic views of the city from the top of the tower, as well as close up views of the sculptures on the façade of the Cathedral. The participants expressed gratitude at being able to experience such fantastic views from such a historical site. Climbing the Bell Tower was a highly rewarding experience for those who took part and made for a memorable expedition. 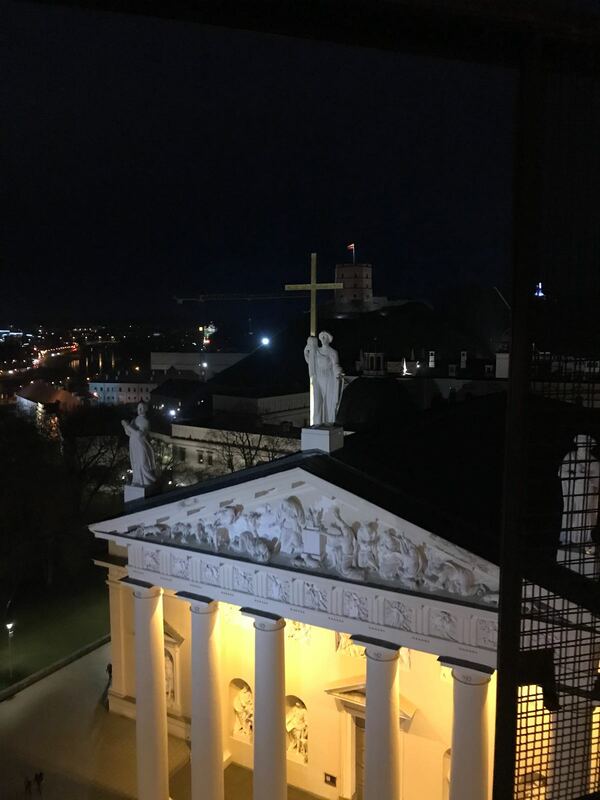 The EFHR has enjoyed a number of trips as a part of the EVS experience, such as their latest trip to Seimas, Vilnius University, and Vilnius Municipality.